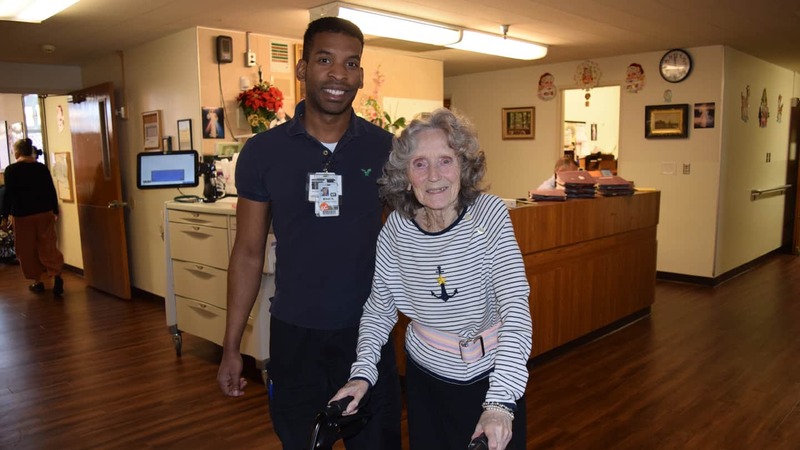 Ranging from gentle strengthening to assertive post-surgical care, the rehabilitation services at Marycrest Manor focus on improving the quality of life of those we serve. By increasing our patients’ independence in self-care, ambulation, and communication, their sense of self-worth is preserved and enhanced. Therapists and patients experience loving companionship as they journey together through the rehabilitation process. Keeping active and experiencing relationships with others helps to overcome the loneliness, helplessness, and boredom suffered by so many elders. Rehabilitation Therapy at Marycrest Manor is a comprehensive program that incorporates Physical, Occupational, Speech, and Restorative therapy exercises. The information below further explains these types of therapy. Physical Therapy focuses on treatment to develop, maintain and restore maximum movement and function throughout life. This includes providing treatment in circumstances where movement and function are threatened by aging, injury, disease or environmental factors. Occupational Therapy focuses on treatment to increase or maintain management of daily tasks by oneself. Some of these daily tasks include bathing, dressing, grooming, and feeding. Speech and Language Pathology provides screening, assessment, and treatment for disorders of speech, language, swallowing, and cognition. Speech therapy focuses on regaining and/or compensating for lost skills to improve quality of life for more effective communication and diet enjoyment. Restorative Nursing Services ensure that our residents maintain their highest practical level of functioning in long-term care. Restorative Nursing Services provide specific treatments to residents to restore and maintain their strength, coordination, and skills to ambulate and perform functional activities of daily living.